Summerland Wineries – 8th Generation Vineyard was etched out of tradition and flavored with passion, it is the story of a love affair that began in 1783 when Christian Schales planted his first grapes in the small Rheinhessen Village of Dalsheim. Today, 8 generations later, the story continues in British Columbia’s Okanagan Valley. Armed with generations of wine making and grape growing experience behind them and his grandfather’s wine-press, Bernd and Stefanie Schales left Germany, May 2003, in search of a new adventure; a new chapter for their next generation. Sounds like a fairy tale. Well that all changed when they bought their first 11 acre vineyard property, 3 weeks later, in Okanagan Falls. They moved into the house, grew the grapes & sold them to different wineries in the Okanagan while they learned about the hot summers, cool nights and sometimes frigid winter conditions in Canada. The farming concept worked for the next couple years until (in the view of the neighbor) “these crazy kids” got a bit bored and mingled with the idea of starting a winery. 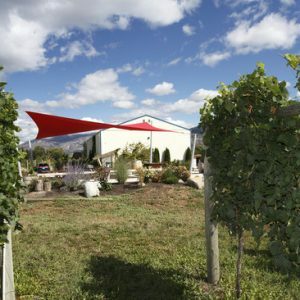 They acquired the Summerland property in 2007 (which included 7 acres of vineyard and the winery warehouse) and processed the first vintage 5 weeks later. 8th Generation is a hands on and a true Family winery. Stefanie, is at the very epicenter of managing both the business and the young, energetic family. Professionally trained as a draftswomen, she has a strong appreciation for order, structure, and balance. Tremendous skills that are most beneficial to the business. Bernd is the winemaker, and interprets his responsibilities to be as important in their Estate Vineyards as they are in the Cellar. He studied viticulture, oenology, and business management at the State Academy for Viticulture & Oenologie of Weinsberg in Germany. 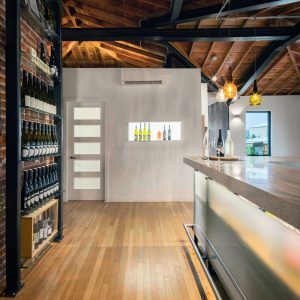 He’s refined his wine growing and wine making skills at his families vineyard in Germany, as well as in other wineries in Germany, New Zealand and South Africa. Most gratifying to them is their ability to expose their children to the importance of taking pride in their craft, and how they care for the land that they are fortunate enough to make a living from. Since then they have expanded the 8th Generation properties to two other locations. One in Naramata and one apple orchard beside the existing winery location. All of them are unique and all of them are worked by the Schales family and their team. You can Experience 8th Generation Vineyards as part of a Summerland Wine Tour or a Naramata Bench Wine Tour , both departing daily from Kelowna. Lineage Wine Club Members get first option privileges on new wine releases, and also receive free shipping benefits on all full case acquisitions. Access to our Syrah, which is a Club member only wine! One complimentary wine tasting/ year for Club member and 5 friends. All wines are selected by the winemaker. No substitutions are possible with the selection of wines. Wine will be shipped mid March, mid June, and mid November. Notification when specific varieties are running low, giving you one last chance to enjoy your favourites before they are gone. Rural delivery charges may apply to remote areas. Wine Club members must receive a minimum of 3 shipments before cancelling their membership. After which, membership can be cancelled up to 30 days prior to the current shipment, or will otherwise apply to next shipment. There are 3 Different options to Join. Check them out HERE. Some content and Images borrowed admiringly from Natalie MacLean, 8thgeneration.com, Penticton Herald, Marc Smith, UncorkedintheOkanagan and Trip Advisor.